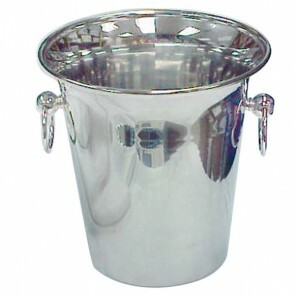 A popular barware accessory, the champagne bucket is a circular and hollow wine accessory. It is usually used to cool your champagne bottle or your wine when filled with crushed ice or ice cubes. Good wines and champagnes lovers as well as barware fanatics can now enjoy a glass of champagne or a glass of white wine at the ideal temperature to fully enjoy this beverage! Moreover, this bottle cooler is available in various shapes and dimensions on AZ Boutique! For a perfect champagne tasting experience and to preserve the finest of its bubbles, it is essential to serve your champagne at an ideal temperature. Indeed, as for some wines including rosé and white, you can ensure that the serving temperature is perfect by keeping your bottle in a Champagne bucket. 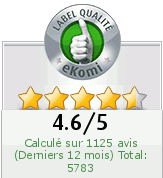 A quality wine and a good champagne deserve the best! 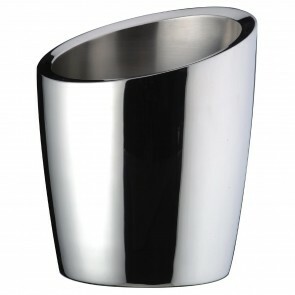 Sophisticated glass champagne cooler or stainless steel champagne ice bucket which one should you choose? It is above all a matter of taste and preference. You are rather seduced by a champagne bucket? Do you find that the transparent glass Champagne bucket is rather trendy? Looking for a bucket with or without a handle? 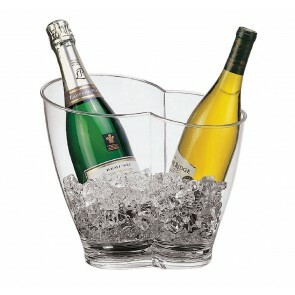 There is something for all tastes but also all colors: the bright Champagne bucket made of polycarbonate or acrylic. These buckets have LED lighting (sometimes a multicolored led) that which is sure to impress. This one is sure to be a hit on as a centerpiece and can prove to be a unique decorative element in addition to being a very efficient bottle cooler. So, first, it's up to you to determine which material or which style are you looking for! If you already have a champagne ice bucket or wine accessories, try to harmonize the materials and shapes with your table scaping. This cooler bowl must also be chosen with the right capacity! Indeed, a champagne bucket or a standard wine bucket can only hold one bottle of 75cl. There are many double Champagne buckets, but it will be difficult to refill bottles like a Jeroboam (3L) or a Magnum (1.5L). In this case it will probably be necessary to opt for a champagne bowl which will be better able to accommodate this kind of large format bottle. AZ boutique features a large array of wine accessories including the bottle holder, the ice bucket, the wine carafe (also called the wine decanter), champagne coupe glasses or champagne flutes.